Crunchy peanuts layered with creamy nougat and salted caramel, all encapsulated inside a decadent Belgian milk chocolate shell. Each rich and dreamy bite has a crunchy puffed rice and chewy caramel center. All drenched in Belgium dark chocolate with a touch of coffee. Another nostalgic masterpiece. Toasted coconut pieces combined with caramel enrobed in Belgian dark chocolate. 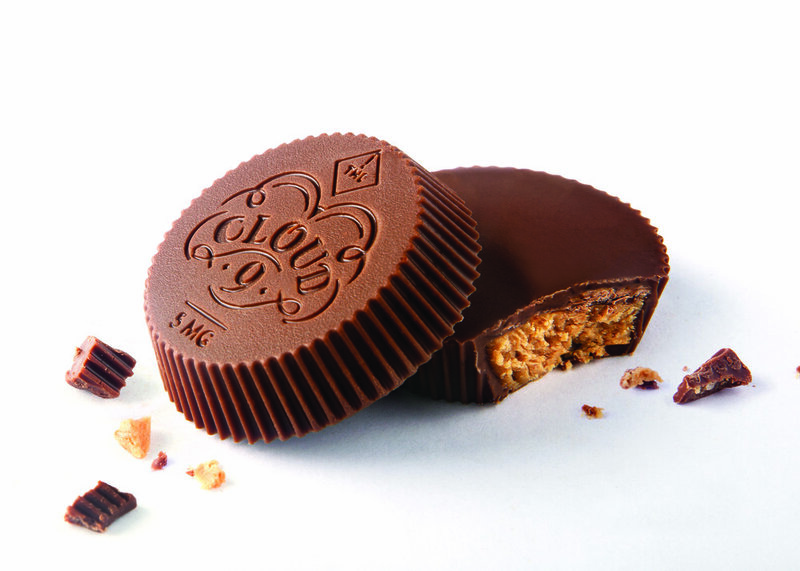 Belgian milk chocolate shells bursting with a creamy and smooth peanut butter filling. 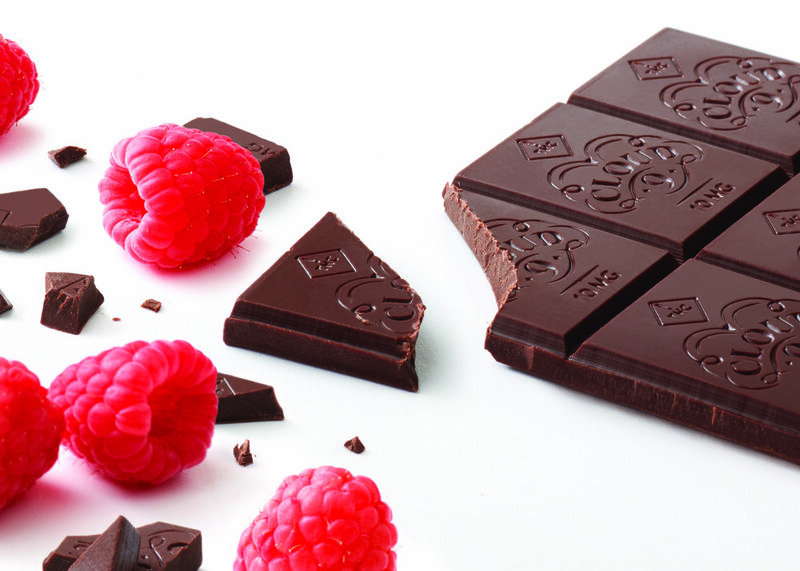 Bright and fresh raspberry flavors engulf your taste buds in a mile high wave of smooth dark chocolate. The same bright and fresh raspberry flavors to engulf your taste buds in a mile high wave of smooth dark chocolate… just without the sugar. Revolutionary. Crunchy chocolate cookies mixed with dreamy white chocolate in this balanced and traditional favorite. Chopped and roasted candied almonds in milk chocolate with a just a hint of caramel. Experience the sweet and refreshing taste of crushed candy cane bits enveloped in decadent dark Belgium chocolate. Playful puffed rice creates the perfect simple crunch in this nostalgic malty milk chocolate favorite. 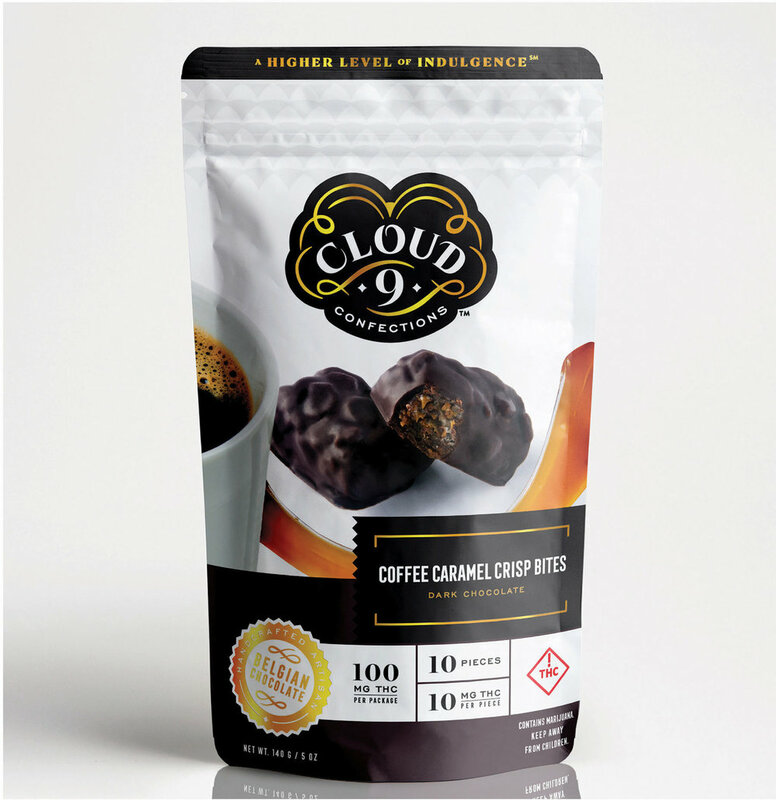 This infused chocolate bar is unmistakably familiar to your morning treat with sweet caramel, tantalizing espresso, and chocolate all combined into each perfect 10 mg square. Bits of toffee nestled in rich dark chocolate flavored with smokey bourbon notes and creamy caramel. Roughly translated Tiramisu means “pick me up”. Truly experience a higher level with this traditional flavor. A flawless pairing of espresso, mascarpone cheese, and cocoa.